Of all the looks associated with capes, have you ever wondered why it’s superheroes who most famously wear them? It’s because the original comic book writers based a lot of their characters off of Zorro. Zorro, a Spanish literary character, was part of that country’s “Cape and Sword” genre, which was their equivalent of the English “Cloak & Dagger” stories. That’s why capes are so heroic today, although you don’t have to save the world if you want to wear one. 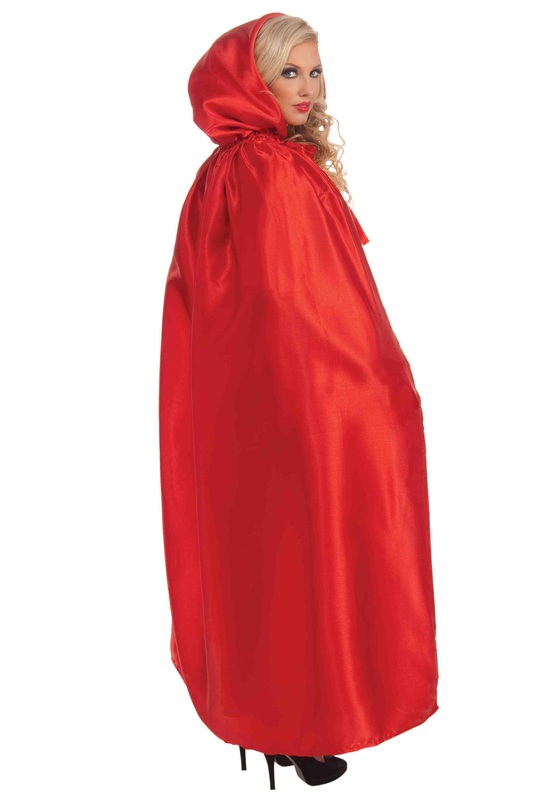 Our Red Satin Cape is a very versatile accessory. With its attached hood it nearly goes without saying that this is the key element to any Little Red Riding Hood costume. It’s also perfect for a Christmas, Mardi Gras, Carnivale di Venezia, Renaissance, medieval, or witch costume. Wear it around town to add a certain panache to your everyday look as well!